Amelia Rose is simply a beautiful, classy PTJ with a touch of foiling, for extra style. Mixed with our whole Amelia Rose collection (papers, washi, stickers, and more), it is perfect for memory keeping! Sophie is our ruffled PTJ which comes in three sizes...each ravishingly feminine and equally adorable. The Gemini is sleek and sophisticated, with a little bit of dazzle, just because! It is also available in three sizes: passport, personal, and traveler's journal. Of course there quite a few PTJs by Prima available now...and we hope this handy chart helps! 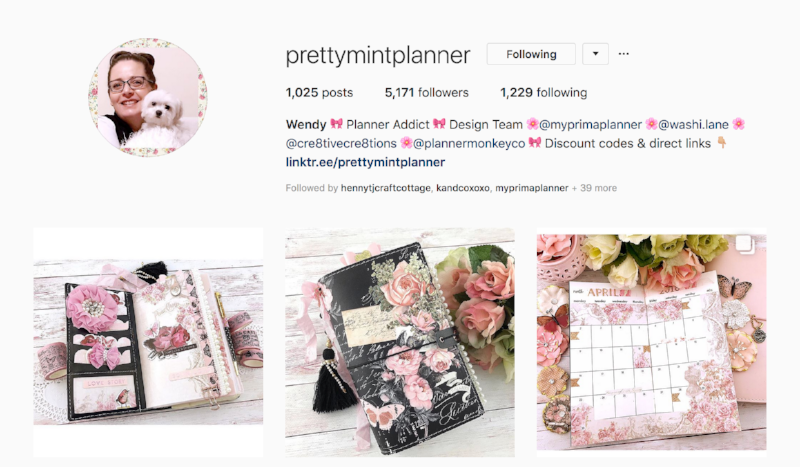 We asked one of our planner experts to chime in with how she uses our different PTjs. Wendy is a wonderful resource of information! "Prima’s Personal Genuine Leather TJ’s are a different size to the Personal Faux Leather line, like Sophie and Vintage Floral. Both lines are also different to what some people refer to as personal size TJ or Travelers Notebook (TN), These inserts measure 3.75 x 6.75 inches. Looking at the chart above you can compare sizes and see how the Personal sizes are different. This information is helpful to know so you purchase the correct size insert for the TJ/TN you own." Prima's Travelers Journal inserts are available in standard, personal, and passport sizes. They are sized perfectly to match each of our Prima Travelers Journal (PTJ) sizes, yet each offers something different! Floral inserts provide high-quality paper for memory keeping, scheduling, and journaling for PTJ and Passports. Our Mixed-Media inserts are available in three sizes: Standard Notebook, Personal, and Passport. 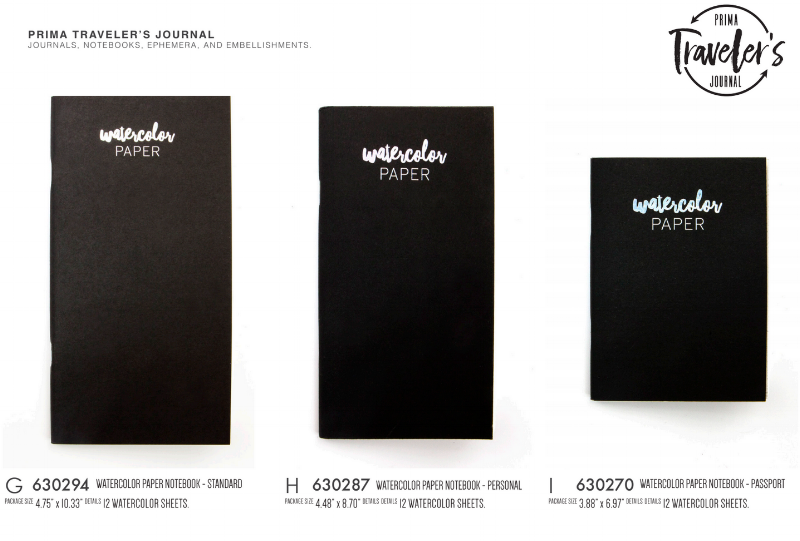 Each contains a variety of papers, from black paper to vellum and kraft to watercolor, for fun exploration! Our watercolor inserts are also available in three sizes: standard notebook, personal, and passport and each holds high-quality watercolor paper, perfect for coloring on the go! Again, Wendy offered insight into the different inserts that she has played with! 1. plain with a beautiful buttery smooth paper that takes pens and stamping well. I’ve even used these inserts for mixed media with great success. Available in Off White, Black and Kraft paper. Off White available in all sizes. Black and Kraft in standard size only. Note - the ‘Pastel’ Personal size inserts are sized to fit the Leather TJ’s only and not the Personal sized Faux Leather ones. 2. watercolor paper that’s perfect to make your watercolors look true to life and behave like watercolors should on this quality paper. Available in Standard, Passport and Personal Leather TJ’s but not Personal Faux Leather range. 3. mixed media inserts have a variety of papers (plain, kraft, black papers) that are perfect for adding gesso, paint, watercolors, mediums, stamping and all other mixed media gorgeousness. Available in Standard, Passport and Personal Leather TJ’s but not Personal Faux Leather range. 4. pre-designed daily, weekly and monthly inserts on buttery smooth paper (same as the plain inserts). Only available in Standard size.